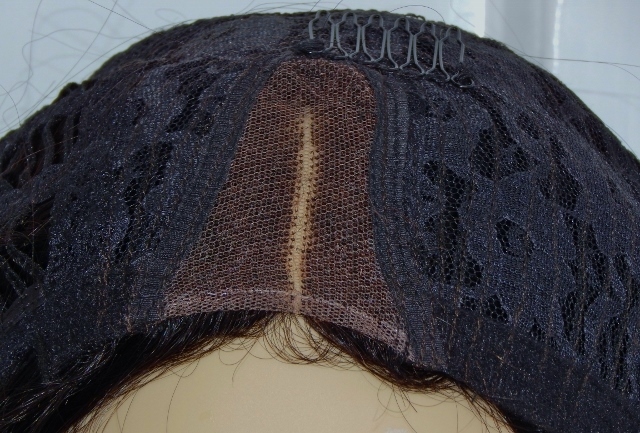 Cap Construction: Full cap wig with a small V-shaped lace section at the front with a created middle parting which cannot be changed - the wig has been rotated slightly in the image above in order to make it look like an off centre parting. 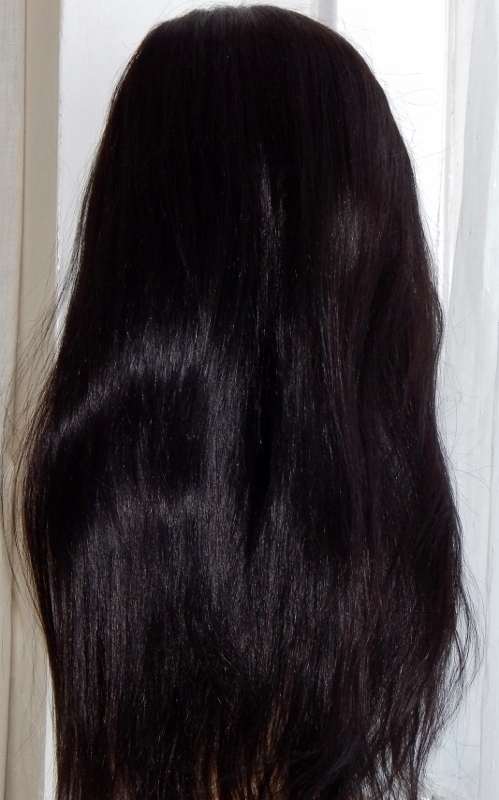 No adhesive required, wefts throughout – wefts are open (no solid integral cap – see images); four combs (front at the top, sides and back); adjustable straps; The V-lace section is medium to light brown in colour, as it's just the parting a concealer can be used to make the parting darker or lighter. The knots are unbleached (this reduces shedding and can be covered using concealer or foundation), fine hairs (baby hairs) at the front. 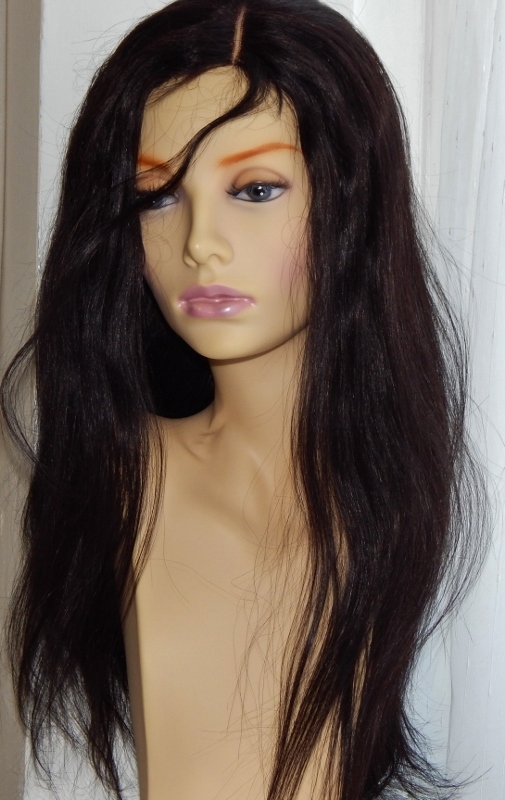 The straight texture is a great look for lace front wigs. If you're looking for and easy to wear and even easier to maintain lace front human hair wig then you can't go far wrong with a straight texture. 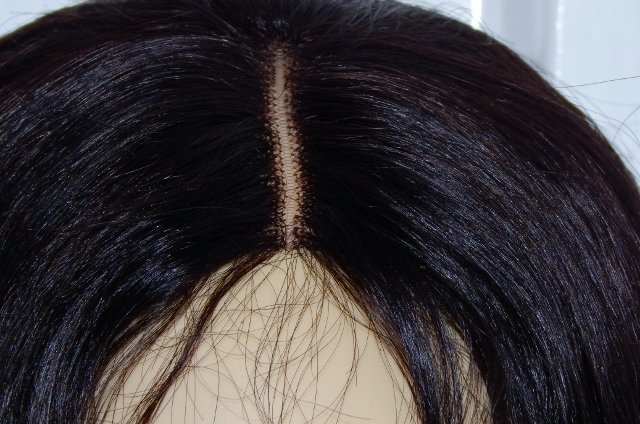 Cap Construction: This lace front human hair wig can only be worn as a "glueless" lace front wig as there is only a small section of lace at the front of the wig. It's better described as a full lace cap wig with a small V-shaped lace section at the front with a created middle parting. 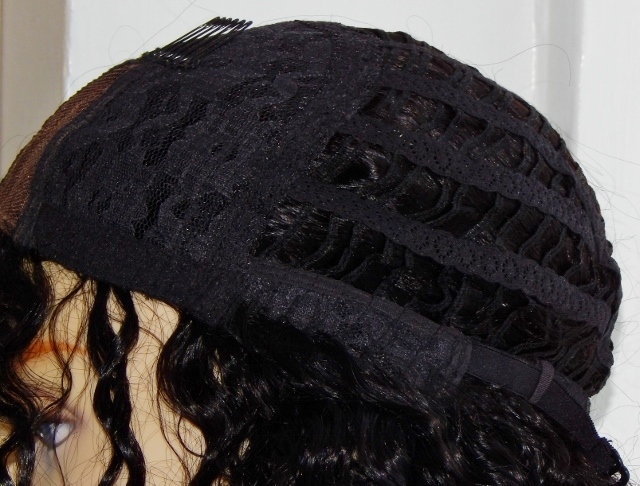 The V-lace section is medium to light brown in colour with a predefined parting. 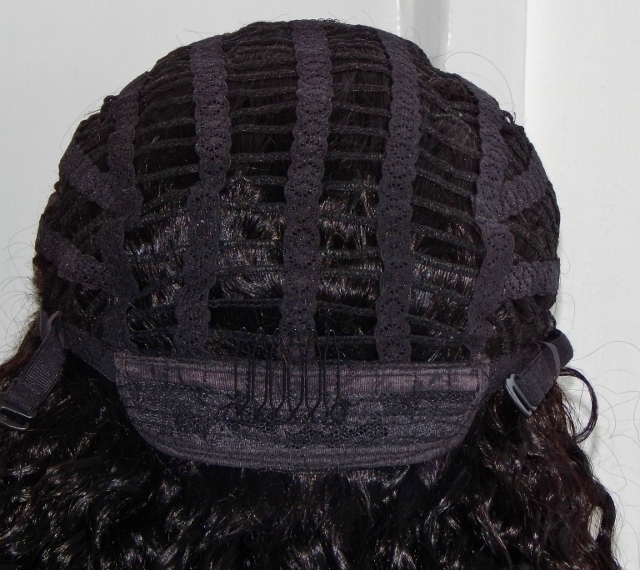 The image of the cap is from the curly version of this v-lace front wig but it's identical for the straight hair version being sold on this page. The hair has deliberately been ventilated at the sides through the tabs. 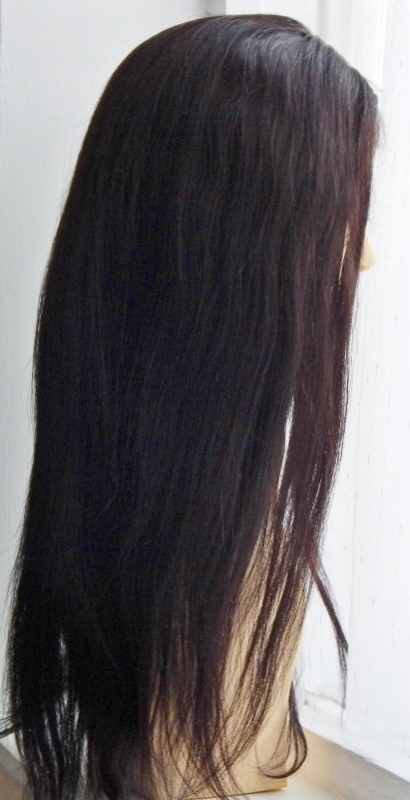 The parting on this wig cannot be changed - the wig was rotated slightly in the first image on this page in order to make it look like an off centre parting. This is a human hair wig and in particular upon first washing the dye may run (this is normal) and may soften the colour slightly.